Justin Lofton is the driver of the Trick Truck #41. He's currently competing in the Best in the Desert Off-Road Racing series. He also stars in the YouTube series, The #AhBeef Life. Check out all current and future episodes below! When not behind the wheel, Justin is the loving husband to his wife, Lisa, and devoted father to his son, Liam. He also is very active in the local Imperial Valley community. On top of being a racer, husband, father, and volunteer/philanthropist, he owns some of the finest cattle around, running several cattle yards. Check back regularly for updates on all of the different ventures Justin is involved in. See you at the races! Don't forget to say hi and tag all photos with #ahbeeflife. Check out what it takes to run a Trick Truck in the Best in the Desert series! Click watch more to watch all the episodes and check out the shenanigans during the season. Be sure to check out our team partners, with out them on board our racing program wouldnt be able to function. Click their logo to be taken to their sites. 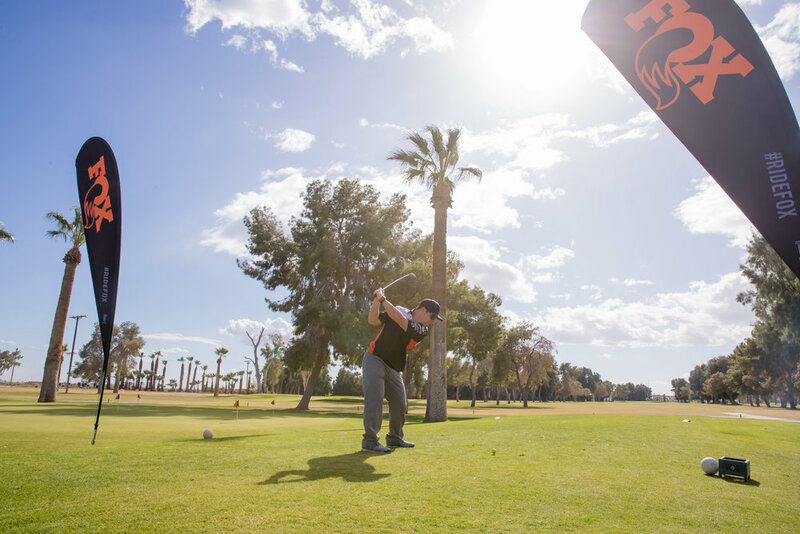 Join Us on January 19, 2019 and play some golf in Brawley, CA. Sign up by hitting the button below, we hope to see you there!! We’ve got some exciting new things for the 2019 Racing Season! We’re happy to launch our new Prints section! Below you will find the best images we have, whether it be an action shot or a still shot, all ready to be printed specifically for you. No matter where you hang it, inside your shop, home, or office, it’s sure to be a conversation starter! Order your print today!